Children do it out of spite when they don't get their way. They may turn a different color for a bit but the good news is it usually doesn't last very long. However, when economists hold their collective breath that's a bit more mysterious. Being an inexact science, the answer is open for interpretation -- a conservative economist sees it one way while a liberal economist sees it another. There is no agreed avenue to prosperity which is unfortunate especially for those whose ... See More business it is to watch the auto industry. Unemployment spikes to near record levels and lo and behold auto sales rise. Huh? It's not supposed to happen that way. Maybe it's time to break out the emergency tea leaves. 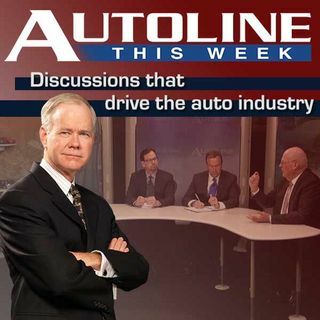 So as Autoline prepares to examine the automotive outlook in 2012, instead of those tea leaves, John McElroy turns to three top professionals in the auto industry to take a look at what they believe is going to happen around the globe. Joining his panel this week are the Chief Economists from Ford, Ellen Hughes-Cromwick, and her counterpart at General Motors Mustafa Mohatarem along with Charles Chesbrough, IHS Automotive's Senior Principal Economist.